2 May 2016 – Santa Monica, CA – OURF Headquarters. Between the recent devastating fires that have overtaken the country’s natural habitats and celebrities like Leonardo DiCaprio making surprise visits to highlight conservation efforts, Indonesia’s orangutan populations have been all over the news lately. While public awareness is the first step towards making progress, for 10 years the Orang Utan Republik Foundation (OURF) has been on the ground in Indonesia working to save orangutans and other primates in danger due to unsustainable farming and human-wildlife conflict. One of OURF’s key programs is the Orangutan Caring Scholarship, aimed at building a cadre of educated Indonesia citizens that will advocate orangutan survival, and OURF is proud to announce that the 100th scholarship will be awarded this June. When the Orangutan Caring Scholarship (OCS) was inaugurated in 2006 to support a student’s tuition and research activities, the first recipient, Syarifah Lia Andriati, was able to attend North Sumatra University and earn a degree in forestry. In the decade that followed, 93 other underprivileged and motivated students competed for and received the multi-year scholarship to attend local universities in the fields of biology, forestry and veterinary science. While in school, the recipients conduct research about orangutans, their biology and health, and their habitat. OURF President Dr. Gary Shapiro stated, “Each of the students who have received scholarships have become spokespersons for conserving orangutans and other wildlife.” Since the program began, over 50 students have graduated and have gone into careers in academia, government, business and the non-profit sector. Ceremonies to honor the students will take place in the cities of Medan (Sumatra) and Ketapang (West Kalimantan) in late-June. OURF President Shapiro will participate in the presentation ceremonies which will take place during the holy month of Ramadan. The OCS is a partnership with both the local administering organizations (Orangutan Information Center and Yayasan Palung) and the funding organizations. OURF coordinates the OCS and has been grateful for the funds provided by The Orangutan Project (Australia), Orangutan Outreach (USA), the Animal Health Foundation (USA), and the Andrew Sabin Family Foundation (USA) as well as numerous individuals who have contributed towards the OCS fund. On July 2009, i got the information about the existence of STI-Kehutanan inBanda Aceh, which could be achieved by bus approximately 1 day and 1 night. In the beginning of September, i registered as a student there with the total about 115 registrant. After the administration and all of the requirement has been filled, the test continued to oral and written test. I was really grateful since i, a downtown boy, could achieved top ten. After the passing test announcement, then i followed the student orientation after. I started to wonder why the student who registered to follow the students orientation were only 50 people, where was the rest? As the orientation proceed, the campus introduction and the senior were terrified me. In the orientation, we were given the explanation, guidance and made our mental to be ready become a forester. More importantly, the coorporation and solidarity which have to be have for a forester. More over, to show our solidarity we had to feed our friend with the food that we had chewed before whereas they also did the same to us. Based on that, i realized that a forest student and a field person was really me which nout really in touch with mode. All of the orientation has passed and our solidarity among the students were solid as well after. After the end of the orientation program, i felt a bit sad since our total became less and less. The batch 2009 who deserved to get the orientation sertificate were 50 people. The teaching-Learning process began after, i was really pround of my self because a downtown boy like me could be study as well with others. Surprisingly, all of the student were announced passing the orientation program but the total of students who attended were only 40 students. In the next meeting, i was elected as the chairperson. I felt glad since i could be closer with them all. After the first semester was proceed and all of students were expected to know their GPA. I was really glad i could get 3,58 GPA. 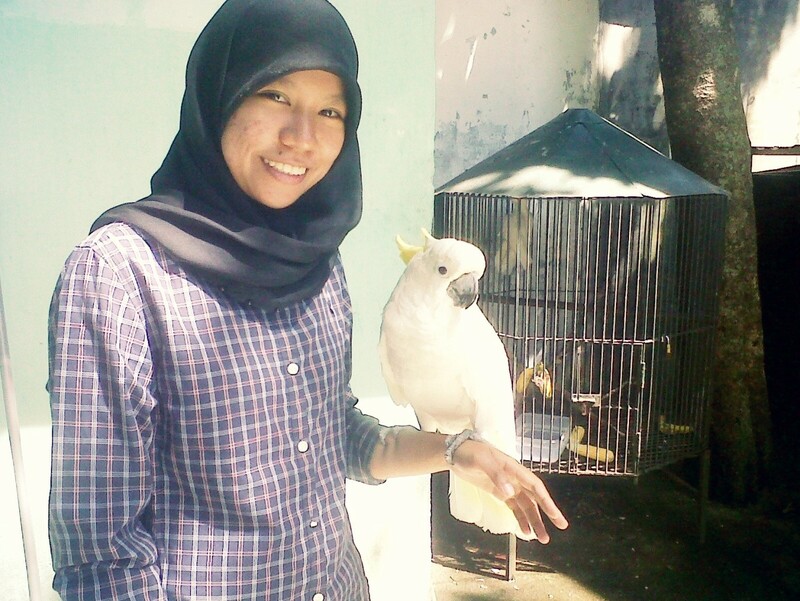 On the semester break i went back to my beloved home town Ketambe to spend my holiday there. After the semester break ended, i went back to Banda Aceh to continue my study, more suprisingly in 2nd semester the student were getting less and the total of active student were only around 30 students. The new students, our junior batch 2010were registered them self and the total of the active student were only around 30 students, then batch 2011 were only 20 people, batch 2012 were around 25 and batch 2013 were only 15 people. I did not know what was wrong with campus or probably there were lack of students who have interest of studying forest. I realized that educational sector at protection and of forest area and animal were not interest many people. Probably because of the lack of job vacancy so many people were worried bout its future. Or probably because of the particular point of view that forest is dirty and also coming to a forest is complicated or what so ever. On the contrary we realized that forest plays an important role not only to our life but also to our invironment. It was an unfotunate that not many people had this attention and wanted to study about it more. It is a generally known that Aceh has an amazing and great forest. Again, it was unfortunate that in other field approximately hundred thousand of students wanted to study medication, education and etc meanwhile forest has only been interested by some students only. It is obvious that the future of our forest is an issue that many people has to concern about. Without the forest, the animal will be dissapear as well. Hello, I’m Een Maulidia Rahman grantee OIC 2013 from the Faculty of Veterinary Medicine, see you again with my second academic reports. To report this time around maybe I will tell you about my experience while undergoing a day of activity day beloved in campus. I think semester 5 is semester very unusual where i started to feel how actually become a vet, but the more stepped to semester next felt heavy and there were times when feel saturated and bored. It was not just me who felt but the dominant of teman- friend also feel the same. Need struggle and strong determination to move on. So far i have reached 88 sks, in append with 22 sks semester to 5. To college course this semester. I took a course called Science Surgical Veteriner, Pharmacology Veteriner II, Disease Parasitik, Technology Reproduction, Pathology Clinic Veteriner, Immunologist Veteriner, Epidemiology and Economic Veteriner, Appreciation Profession Veteriner and Entrepreneurship and Basic Biotechnology. Final exam to be implemented December 21 2013 – January 8 2014. Of all college course right can ‘ t guess the result. All college course his utmost very extreme moreover lecturer taught me. During semester 5 teach us in many ways namely: a) how to sew on when the dissection; b) pattern what to chosen on cases, cases certain operations; c) what kind of thread; d) how to handling in cases of fracture; e) how measure blood glucose, uric acid and cholesterol; f) how IB; g) sinkronisai estrus; h) super ovulation; i) and Embrio transfer, Invitro Fertilisation and many more others. The organizational problems during the first semester this i less active participate because of a division of time between the meeting, and college, actually it is the risk, have to be in the but is the problem for college course, no particular can be left a single session behind will be difficult to understand for a session studies next. Sampe how complex this semester. But this semester i am glad to can it and something new, i escaped selection to join in an organization public socialization the level of university, where there are many programs there go green, namely: the socialization of natural disasters, devotion society, guided village, blood donation, and lain- other. The dominant of FKH, thank god its members our hope in the program of this organization in addition to introduce fkh to society that still very naive about fkh, well as also introduced about conservation wildlife to villagers or society and friend, friend of the faculty of another to conservation fauna. A holiday the end of this time i ‘ ve been a lot of consultation with the lecturer guardian about research, good vacation is getting pencerahannya. To melanjut right semenster 6 and then also i challenged with in a course called the science of diseases in small animals, infectious disease, the science of surgical veteriner specifically, the science of obstetrics and kemajiran, ethics veteriner and animal welfare, and toxicology veteriner. According to a report academic i beg you for much of the deficiency and a mistake in writing english since i was in the stage of learning. A four-semester final exam had ended at the end of June, and I decided to go home to my beloved hometown. While awaiting the results of tests, I got together with my beloved family. I had a new sister and I have never seen before. Shortly afterwards, the value of four-semester exam results came out. The value is not so bad, it is just that I am still not satisfied. 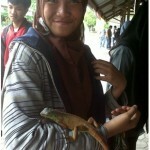 My friends another started his holiday by taking a short-semester, while I started with an apprentice at Siantar Zoo. I want to know the world veterinary in closer. 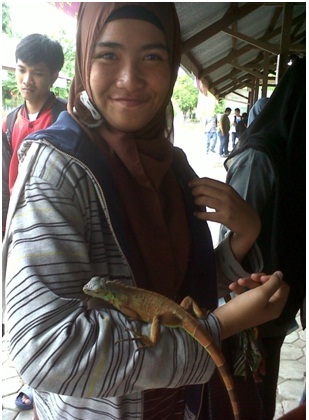 At the Siantar Zoo, many interact with the animals are on the lecture do not I see. 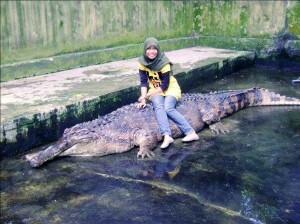 Moreover, kinds of animals at Siantar Zoo increased since the entry of Surabaya Zoo (Kebun Binatang Surabaya). Among them are orangutan of Borneo , cassowary wattle double, banteng, an assortment of monkeys, camels, nilgai nad hippopotamus. Between the Sumatran orangutan (has long existed at the Siantar Zoo named Copral) and Bornean orangutan (serived from Surabaya Zoo named Dino and Jojo) I saw almost no difference between them, it is just on Borneo more concentrated hair color a little bit. I am not so friendly with them because they are so aggressive. But, I so clearly note that they readily stress once. I recently know is apparently orangutans not to be given the drug the animals, they use the same drug with humans. And as much as possible to avoid giving the drug by injection. One more thing that I found on orangutan is theis labor so strong. Things can not possibly I forget during my apprentice at Siantar Zoo was when I strucked by bears honey, monkeys and cassowary. When visit Dino and Jojo, involuntarily me props in the wall of the enclosure bears honey, with so fast he pulled my hand. Grateful just a my hand clothes torn, not my hand. Katon is smart monkey who always trying to get out of his stall. When I want to feed him, he tried to want out. Quickly I close the door cage and instantly he hit the door towards me and hurt my hand. While with cassowary, I had the kick so strong and wounding left thigh I due to it is hoof are so sharp. I think that are my challenge in the future as a veterinarian. 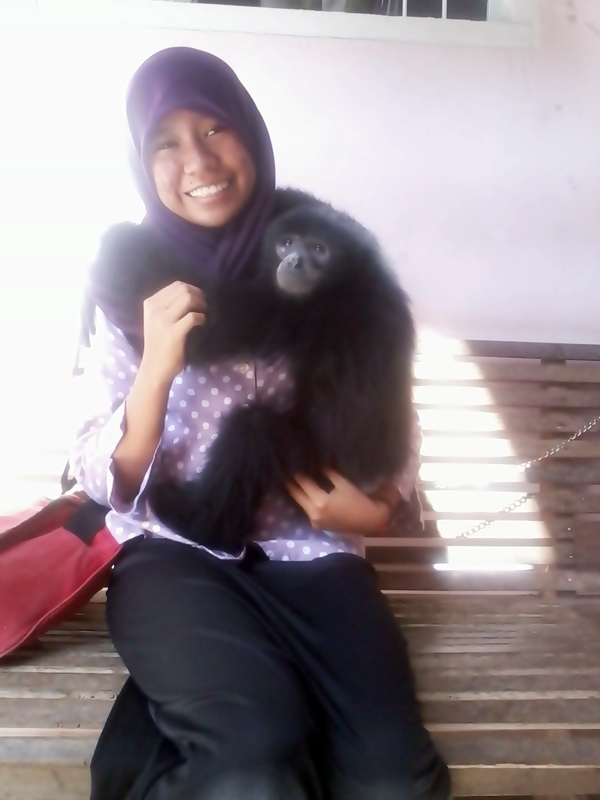 The things that I went through during my internship at Siantar Zoo is a very valuable experience. And I am so pleased to be able to interact with so many kinds of animal created by God. Hpefully there’s more chance the other day so I can better understand about orangutan in direct practice, not just theory about them. Hi, we meet again. 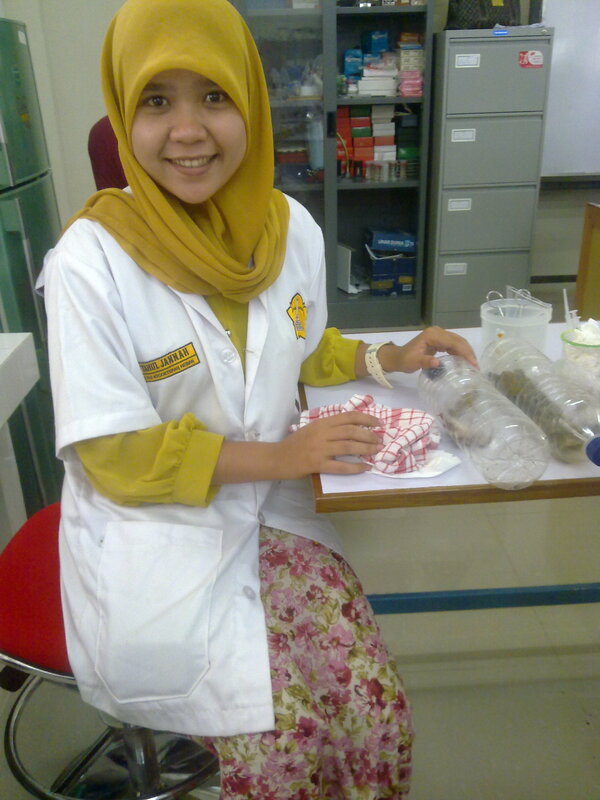 I am Cut Sahvrina Devinta Fauzi of Veterinary Medicine Unsyiah. I want to give my report for this semester. Last semester was my seventh. In semester seven I learned many new things. 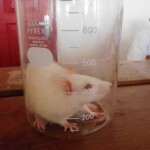 For example, I learned techniques of surgery, pathology in small animals (pet), infectious diseases, livestock science piece. While learning the techniques surgery of animal, I did some type of surgery such as anaesthetic, castration, ovarectomy in cats and tail docking in dogs. And I learned technical fracture on a bone and the proper installation of bandages and plaster casts. I also visited a dairy farm owned by one of my lecturers. 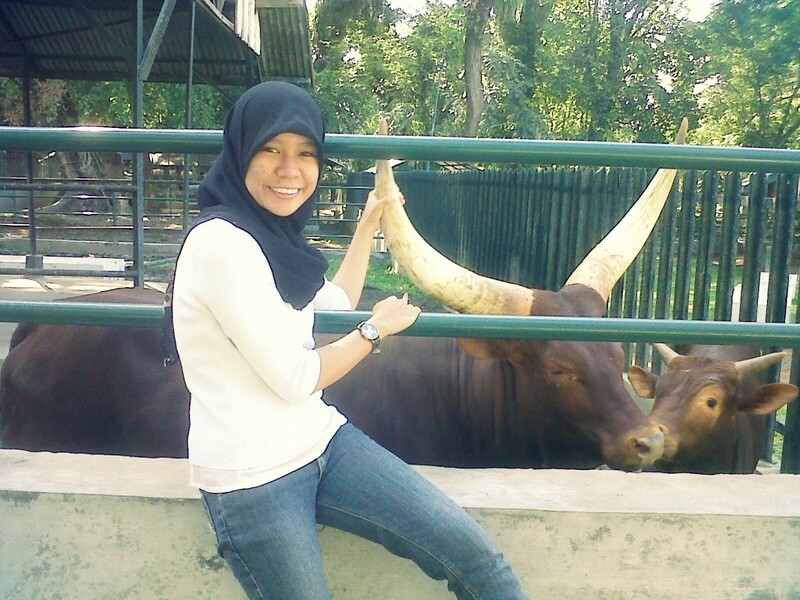 In the farm there are 10 cow types such as FH (friesian holstein) that provide milk in the region of Banda Aceh. I also studied the life cycle of the dairy cows and the disease in dairy cows. And then I also attended many seminars on wildlife conservation such as elephants, Sumatran orangutan, Sumatran tiger and how to control your pet reptile. Currently I’m running on KKN courses (Course Work), the courses are given to all students in the University of Syiah Kuala in order to channel the knowledge that has been gained to the citizens of the community that exists around the province of Aceh. With this service we can get to know the importance of a science that we get for our surrounding community. So this is the narrative that I can provide to supplement some of the data required by the OIC, OURF and AFH. Thanks and see you again. 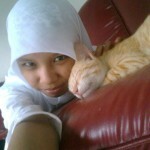 My name is Octora Enda Sari Ginting. I was born in Medan on 22 october 1992. I grew up with my family in Medan. My father’s name is Karnan Ginting and my mother’s name is Rehmuli Sitepu. My father works as a public accounting and my mother is a housewife. I am the second child in my family. My first sister’s name is Maretha Natasia Ginting 21 years old and already work. My youngest brother’s name is Michael Dianta Ginting 17 years old and he is the 3rd grade student in ST.THOMAS 2 high school. Now, my family live on Gaperta Street 129 Medan, North Sumatera. My education story begin in El-PATHISIA Kindegarten when i was just 5 years, then in 1998 I was in elementary school at SD ST.THOMAS 2 Medan and I went to junior high school in 2004. I entered the junior high school in SMPN 18 Medan and graduated in 2007, then went to high school level in 2010 at SMA ST.THOMAS 1 Medan. After that I ever attended the Medan State Polytechnic at Department of energy conversion Techniques, however I don’t have any interested and talent there so I tried to take the test again and chose the Faculty of Veterinary Unsyiah. 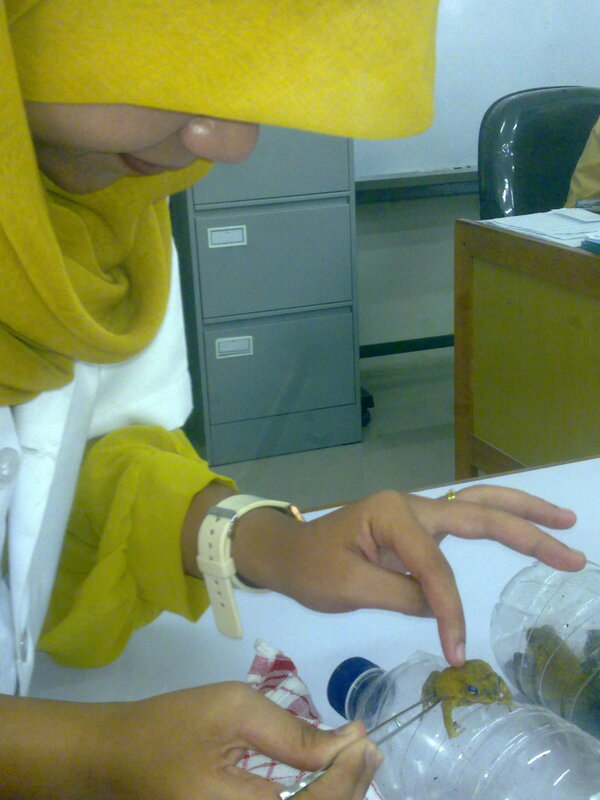 Now I was in the 4th semester at Faculty of Veterinary Syiah Kuala University. 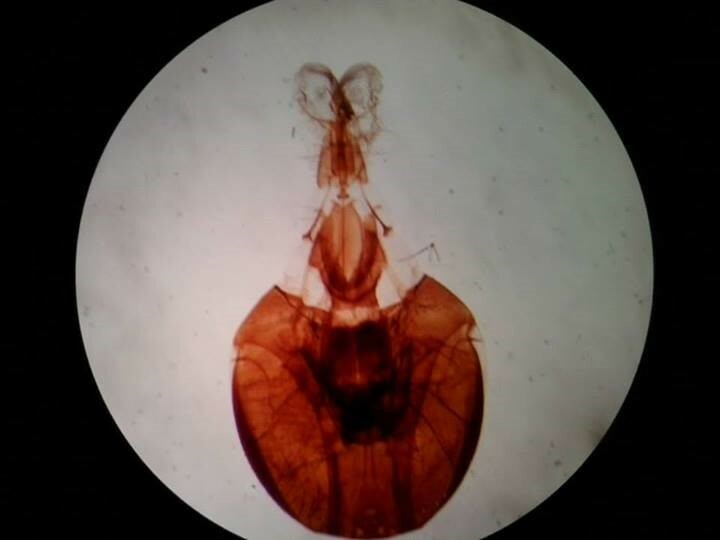 I took 8 lesson this semester i.e., Veterinary Anatomy III, Veterinary Pathology, Veterinary General Pharmacology, Veterinary Parasitology, Veterinary Microbiology II, The Physiology of Reproduction, Veterinary Clinic Diagnosa and Veterinary Public Health. In addition I also follow the Executive students in my college and student activity units about ornithology, Himpus. Although the schedule on this semester is so demanding but I still try to keep up with the schedule. Starting on 1 March to 5 March 2013 i will follow the Midterm, wish me luck. While I still in high school, i thought to be a dentist or veterinarian, because I love animals so much I have a great desire to be a veterinarian. But among my friends and my family have an opinion that veterinarian is not the right choice so finally I undid my intentions and chose the Engineering. After 1 year became engineering student, I grew to realize that I did not have the desire and the talent here, even I always imagined I would become a doctor. Therefore I decided out of engineering and try to take the test to enter the Faculty of Veterinary. Now here I am, being one of the potential future veterinarians. 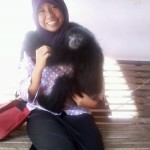 Before be a veterinarian later I will help the conservation of orangutans through research that I will do in the future. I also persuade people those closest to me to love forests and orangutans. And I will follow developing which concern about forests and orangutan which is are in Sumatera, so I can participate to maintain the sustainability of forests and orangutan. After becoming a vet someday I wish I can join in orangutans conservation so that I can work directly in maintaining and preserving the orangutan. I should be choosen as the recipient of this scholarship because I have a great desire to join in tonservation of orangutans. From the first time i really like orangutans and other animals. So did my parents, especially my mother who always invites me to see orangutan at Bukit Lawang conservation area, because my mother know that i love orangutans and very supportive me to follow this scholarship. I will try to help preserve forests and orangutan through think and efforts that I can do. Also I will be very happy if I can take part in activities held YOSL-OIC, OURF and Animal Health Foundation in preservation of orangutans and other animals. Thus a brief biography about me, I hope this report can introduce myself even further. Thank you very much. My name is Miftahul jannah, I was born in Sigli on 06 April 1994. I live in sigli with my parent until now. My father’s name is Alamsyah and my mother’s name is Halimah. My father is an entrepreneur and my mother is a teacher of junior high school in Kota Bakti. I have 5 sisters and no brother. 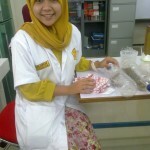 My first sister’s name is Zahara, she is 26 years old, she also a teacher of junior high school in Kota Bakti. 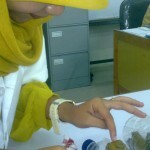 My second sister’s name is Nadia Maulidia, she is 24 years old and now she works in Banda Aceh. 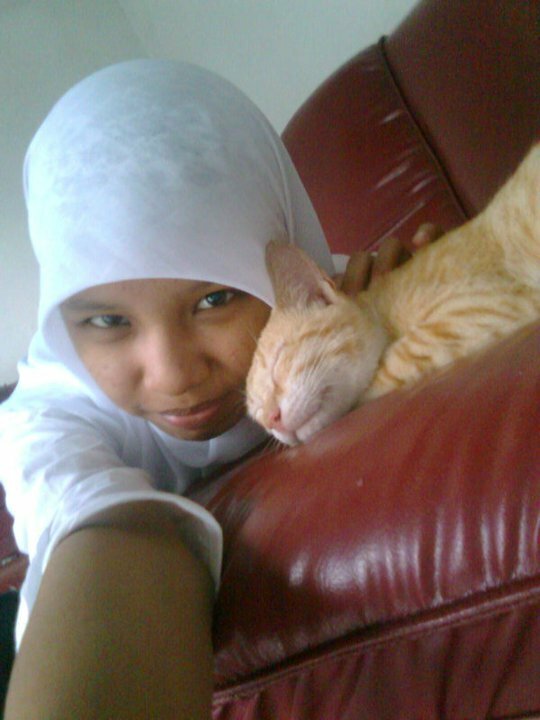 Next, my third sister’s name is Zikria Hanum, she is 22 years old and now she is a student of Unsyiah University. And then my little sister’s name is Rizka Maulina, she is 16 years old and now she is a student of senior high school. The last one is Syerma Shakira, she is 8 years old and now she is a student of elementary school. When I was 5 years old I studied at TK Alquran (Kindergarten) then in 2000 I studied at SDN 4 Kota Bakti and I was graduated in 2006, then I studied in SMPN 2 Sakti and graduated in 2009 then I continued my study in senior high school at SMAN 1 Sakti and graduated in 2012 and now I am studying at Veterinary Faculty, Universitas Syiah Kuala, Banda Aceh. My activities while in the Faculty of Veterinary Syiah Kuala University is conducting various lab work regarding my courses ranging from matters concerning Embryology, Animal Anatomy, Animal Physiology, Biostatistics, biochemical, general husbandry, and Science and Public Lecture. Currently I’m following the extra-curricular activities because I am still trying to keep my class schedules and the course at this time. I wanted to be a vet because the vet is a very noble job, where they protect God’s creation and positioning it to be a human being in need of protection and adequate healthcare. My hope in the future, I’ll be able to maintain and protect various types of animals through my profession as a veterinarian. Besides, I want to make my parents and my family proud of me by becoming a professional veterinarian. OCS Scholarship is a bridge for me to reach my hope and my dream to be a veterinarian. By this scholarship, I can ease the burden of my parents in my college fund, so they can still pay my sisters in their school without thinking of me. I am very grateful to be given this opportunity to get this scholarship. The course that I took today is one of Veterinary Anatomy, Islamic Education, Veterinary Physiology 1, Biostatistics, Veterinary Biochemistry 1, English, General Science Animal Husbandry and Embryology, all totaling 21 credits. That’s all for this report, I hope OCS scholarship will flourish and sustain. My name is Een Maulidia Rahman. I was born in Meulaboh on 11 September 1993. I grew up with my family in Meulaboh. My father’s name is Anshari Yatim and my mother’s name is Kasma Ishaq. My father is a retired civil servant school. and my mother is a housewife. My parents seek income from their small business to open a restaurant that simple. I was the fourth child of six children in the family. My brother’s first name Cholid Firdaus has been married and have a family, and worked as a civil servant in the government. The second brother named Roni Oktamaria work as self-employed. The third brother named Muhammad Shollyzar, who are still studying at University Teuku Umar Meulaboh. and the last two twin younger brothers named Fauzul Kabir and Hafizul Fariz they which newly entered schools in meulaboh. My education story begin in TK- Alquran Meulaboh when i was just 5 years, then in 1998 I was in elementary school at MIN Drien Drampak and I went to junior high school in 2004. I entered the junior high school in SMPN 2 Meulaboh and graduated in 2007, then went to high school level in 2010 at MAN MEULABOH-1 Meulaboh. Now I am a student semester four veterinary medicine syiah kuala universyitas, at the moment I am taking 21 credits with 8 courses. I very much hope to the semester this can get a satisfactory. Hopefully, with earned a Orangutan Caring Scholarship this i can raise my capability whether it ‘ s in the field of academic and non academic, wish me luck i may be able to complete the lecture quickly and timely with a value good. After finishing high school, I initially wanted to go to college general medicine, as well as where parents want me to school there, but it turns out God wills others, I’ve tried to follow some college test by selecting a course of medicine, but all fail. I finally tried the last test in the same college courses veterinary selecting the first, and apparently God gave me the opportunity to pass on the faculty. I feel this is all destiny, God will not give me what I want but god give me what I need. Parents also support after I promote and explain how animal medicine. 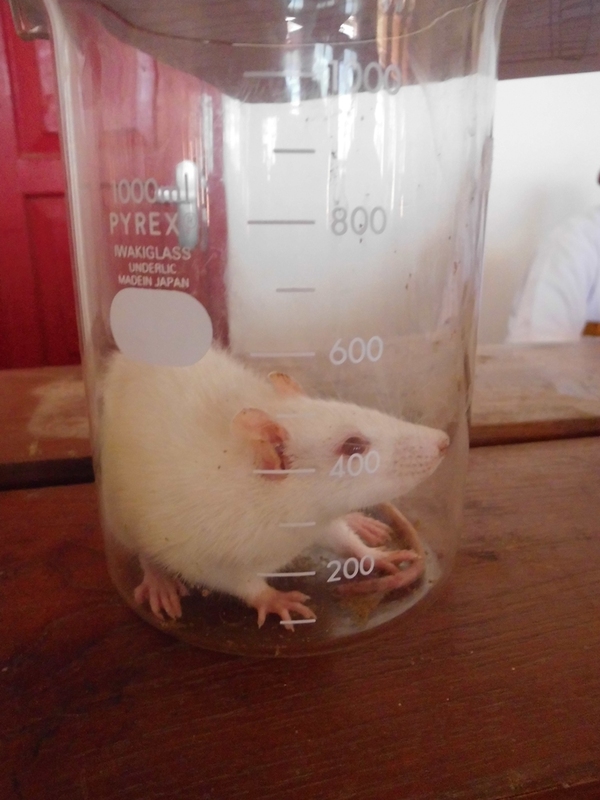 veterinary medicine is not my wish but I believe the future of veterinary medicine is me, with a veterinary student I was enthusiastic hope to maintain, care for, treat and care for animals – animals (patients) in accordance with the traffic I have. Forest preserve is a task that we all live in the bum, forests are the lungs of earth. Many ways that we can do to preserve the actual forest. The easiest thing I can do is like planting a tree 5-10 trees in a day vacant land. however, it does not mean at all that I just did it, while outside there is stout especially those who cut down trees they had been bribed with money. I need help from people – individuals and society. let’s together – together to preserve our forests. before becoming a vet I also wish to add to the experience in the field of conservation of orangutans and can provide counseling to the layman who think orangutans are a pest for residents. for research later, I also want to keep the existing health management orangutans in captivity or the zoo. set it to be a vet I also want to participate in all areas of orangutan conservation. I am entitled to because I was able to be elected the person responsible for completing this course by researching about orangutans. I will make every effort to not disappoint scholarship. By joining the conservation of orangutans and their forest conservation glad I could keep this earth from global warming. although many among friends who still do not understand what the function of orangutans must maintain and kept in their natural habitat. I believe I can help the conservation of orangutans and the forest preserve. I feel very happy if I can be part of the family lover and protector of orangutans, which is held in activities YOSL-OIC, ourf and Animal Health Foundation conservation of orangutans and other animals. Thank you for selecting me as a Orangutan Caring Scholarship recipient. Thus a brief biography about me, I hope this report can introduce yourself even further. and I apologize for my United Kingdom language is not good, because I am still in the learning. Thank you very much. My name is Diah Hestiasy Tanisyah, calling Diah or Hesti. Tan is a surname derived from my father. My father Chinese and my mother Java. I was born in a small town in North Sumatra Province of Pematangsiantar on 20 August 1993 and I grew up with my parents, my younger sisters and my younger brother in there. My father’s name is Buyung and my mother’s name is and Endang Susantri. First, my father was a small farmer who farms and sells local chicken and carp. But the effort is already suffered a setback. My mother was a kindergarten teacher since 2004. I was the first child of four brothers. Fitri Aulia Tanisyah is my younger sister the first who was 17 years old and attended SMA Negeri 2 Pematangsiantar (senior high school). My younger brother’s name is Jodi Tantowi Jahya aged 13 years old, was educated at SMP Swasta Teladan Pematangsiantar (junior high school). I am very close to him and we have the same Zodiac is Leo. And the last is Kailyn Saskia Tanisyah, she has just been born on 25 February 2013 as my younger sister. My educational history begins Kindergarten when I was 4 years old at TK Al-Wasliyah Pematangsiantar, then in 1999 I was in elementary school at SD Negeri 122401 Pematangsiantar. And I went to elementary school in 2005. I entered the junior high school at SMP Negeri 1 pematangsiantar and graduanted in 2008. 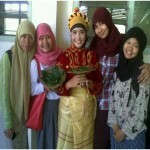 Then I entered the senior high school at SMA Negeri 2 Pematangsiantar and graduanted in 2011. 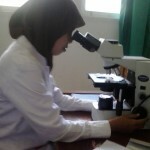 Currently I am living the education period fourth semester Undergraduate level at Faculty of Veterinary Medicine, Syiah Kauala University-Banda Aceh. The reason I want to be a veterinarian is due from years ago, I have often make friends with some animals for example are animal-pet. Although only a chicken, a dog, a cat, birds, fish etc. Moreover, my home is not far from the zoo known as Taman Hewan Siantar. I feel very pleased when I play with them. And I think that is my hobby. When I entered in medicine animal, my grandmother, my uncle and my aunt disagreed with me. I was told to leave my education and go majored in medicine or dentistry. Finally my father became hesitate to let me carry on my education. But I did not directly despond. I always trying to make my parents proud if I would continue to go to college in veterinary medicine. I tried several scholarship and program creativity students to me show them. Although the result is still yet to be shown for them. 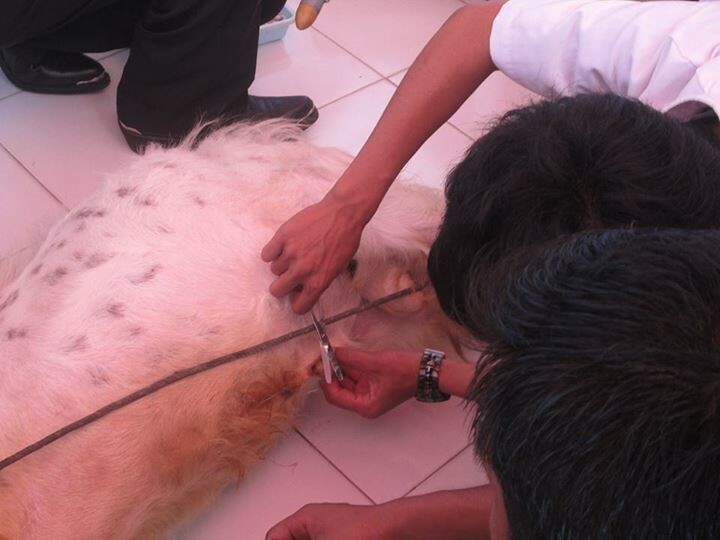 As a result, I become increasingly confident to remain be a veterinarian. So, the future I can show them that not just doctors and dentists can be successful person, but veterinaries too. Even more than success. I hope in the future I can become a famous veterinarian with new discoveries, to safeguard and protect the various types of animals. Besides I want to make my parents and my family proud with me as a veterinary professional. After being a veterinarian, I would be a friend from orangutan. It means as friends, I must get participated in save him. I would make approach, counseling and socialization to nationwide, especially children and the student. The object is to create are concerned about the status of orangutan. Children and the student is later will become government. When their became it will, their expected use his authority to embrace nationwide in protecting orangutans. The reason I joined this Orangutan Caring Scholarship (OCS) is because I want to save orangutans by following efforts of orangutan conservation. 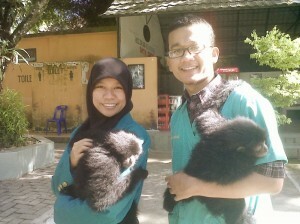 Orangutan Caring Scholarship (OCS) is the way for me to reach my ideals be a veterinarian. With the existence of this scholarship, I can lighten the load in finance in college my father. And hopefully by the presence of this scholarship, can make me more spirit in my conducting activities academic to get satisfactory results. I am so grateful were given the opportunity to get this Orangutan Caring Scholarship (OCS). I will make this Orangutan Caring Scholarship (OCS) as my motivation.